The timeless appeal of the Dorchester collection makes it one of the best sellers from Heritage. 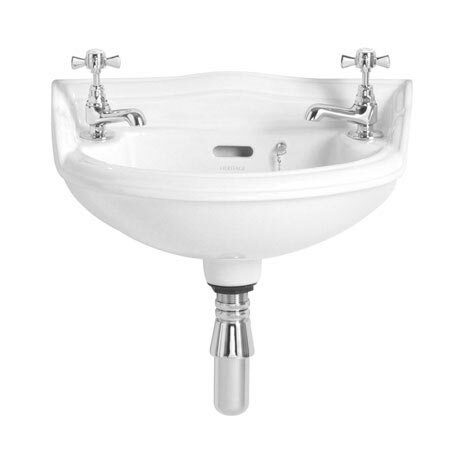 Manufactured to the highest standards from vitreous china, this Baby Basin has elegant curves that will suit any small period bathroom or cloakroom and comes in 2 tap holes only. Heritage offer a lifetime guarantee on all their sanitaryware. Please note: Taps, waste and bottle trap sold separately. All dimensions given are approximate.